Learn what it takes, then do what it takes. Action required. Leave with an action plan for your vision + a support system. In 2018, we hope that you choose to WIN. It may require everything of you. But, if you are ready to uncover your issues, unveil your truth, unleash your gifts to unlock your God-given potential, JOIN US! This full-day conference will awaken you to possibilities again and ignite your passion to respond to your innermost yearnings with a vigorous "YES!" You're up for the challenge, so let's get ready! Dynamic, proven and talented speakers, work session facilitators and strategic partners are at your disposal for ONE DAY to help bring your vision to light. This is your year to realize the vision God has given you. Are you ready to fully engage life? Are you ready to learn what you're made of? If you're ready to win, it's time to show up. We're here to help you. Be here. Conference will be held at Holiday Inn, 432 Pennsylvania Ave, Fort Washington, PA 19034. A catered hot lunch is provided by Banana Leaf Catering. This is an all-day event. To maximize your experience and receive a full return on your investment, prepare to attend the conference in its entirety. Seats limited to 40 women. All program materials will be provided.  Let us know you are ready to choose YOU! Workshop to map your vision and break it down into bite-sized action items. Getting comfortable sharing your vision and inviting others to support you. Identifying key resources, tools and next steps to make it happen. "I'm ready to invest in ME." How we gonna win if we ain't right within? Let's pinpoint our "stuff." Let's choose to no longer conceal what holds us back. We must reveal in order to heal. The vision is absolutely important. But the overall health of the person with the vision is essential to actually experiencing true victory in this life. We must WIN from WITHIN! Upgrade our self-talk, habits, actions, decisions and internal story-telling to honor, love and appreciate ourselves. Removing societal definitions, we will define what winning means for each of us. We've faced obstacles before, let's strategically prepare for future ones. Let's develop a 3-month Action plan to serve as a roadmap on our journey to WIN. Are you really ready? This is not a spectator conference. Action is Required. 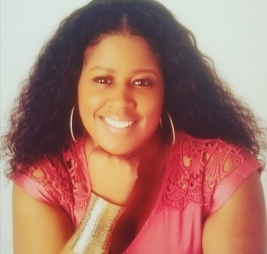 Dynamic presenters and speakers also serve as hands-on, engaging workshop facilitators with years of experience pushing women into new realms of greatness. We won't be just talking to you. We will be working alongside you. Come ready! "I want to awaken you to your life's purpose. And, with a made up mind, invite you to unleash your gifts to resurrect the power that lived within you all along." "If you aren't committed to your own success, you cannot convince anyone to be committed on your behalf. That is foolhardy. Stop talking and be about it." Let's stop talking and be about it! It's time to live our best narratives. We must remind ourselves of our pending victory: our story of overcoming. Then, we must live it out. Are you ready? Daily, we exercise the power of choice. In life, let's choose to WIN. Our lives move in the direction of our focus and pattern of our habits. Choose where to focus and ensure positive and healthy habits. I'm Ready to Choose Conference is brought to you by I Choose To Win, a 501 (c)(3) nonprofit organization that edifies, empowers and equips women to WIN!